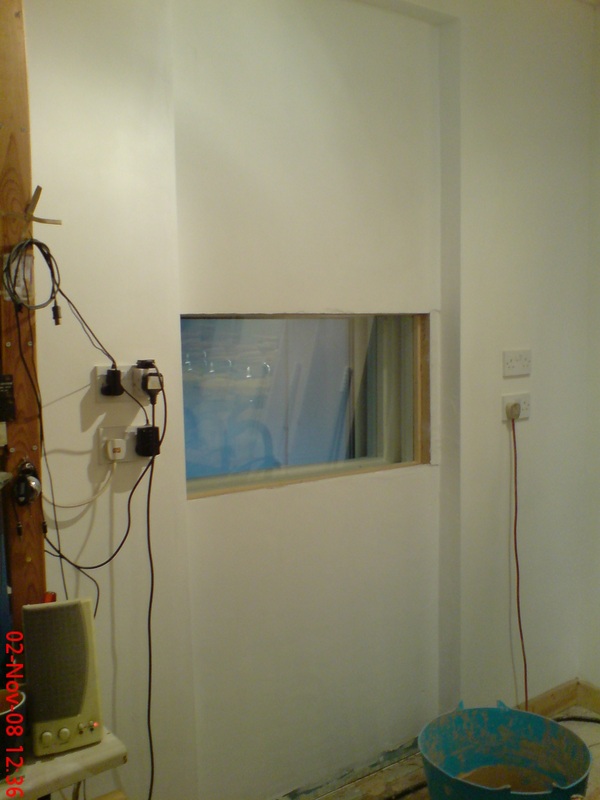 The Control room area freshly painted and putting the finishing touches to the plaster holes that are left. Unfortunately it will be another year before Phill manages to come back and finish the job I paid him for. The furniture is still waiting to be built and the 4 fire doors are still waiting to be finished off and hung. Meanwhile the electrician did come in to repair the faulty hall fittings and fitted two new double switches. The sink was re-located into the alcove where there was once a window. 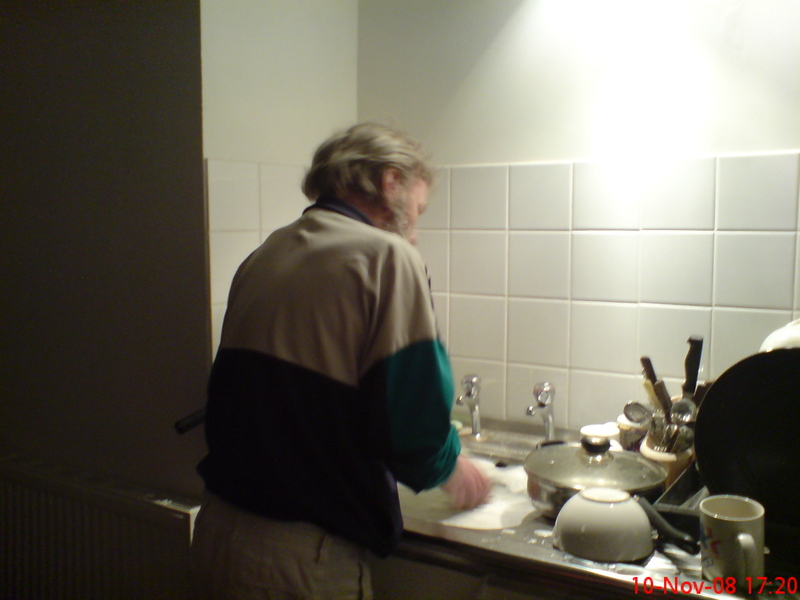 Here I’ve managed to capture the very rare occurrance of my other half doing the washing up!